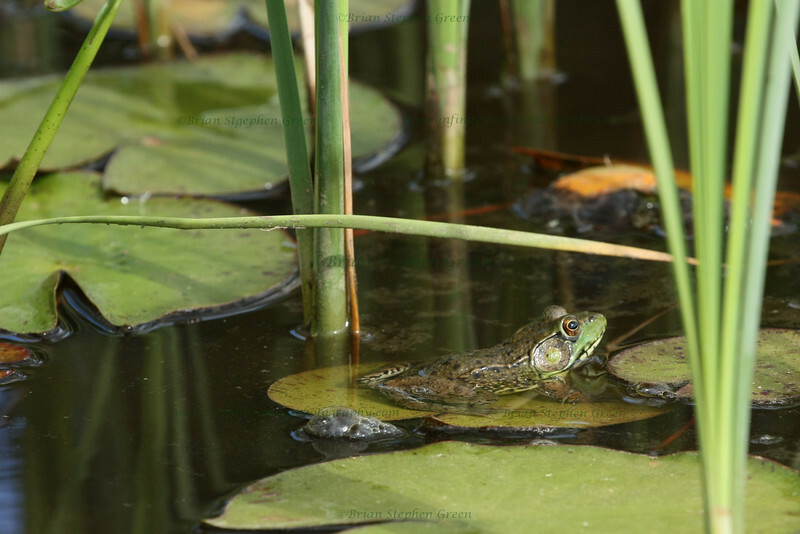 Taking some lily pad shots, when this guy just peaked out of the water and started climbing on a pad. Was cute to watch him scrambling up. Then he just sunned for awhile. Ah, the life :) 90+ in the forecast today, T-storms on the way; the weekend looks perfect though. Hope the week is going well for all - almost there! Have a great day! Great title and a wonderful pic; really well done. Amazing shot and perfect title. Excellent catch and perfect setting! I love the composition of a frog on a pad. Cute pose. Great catch and great green image!